The financial crisis has had its effects on all sectors of society, including higher education. The crisis is, however, not only an economic one, but also an intellectual and ethical crisis. Universities and higher education systems in many countries are suffering from budget cuts and are also accused to have contributed to the situation, which we are facing. The academic community has the strong obligation to contribute to overcoming the crisis and finding adequate responses to the developments incurred by it. Universities have the expertise to act in a pro-active manner to find solutions and to possibly prevent similar future scenarios. The Magna Charta Observatory decided to focus its annual conference on the possibilities that the higher education sector has in this respect. The 21st anniversary conference of the Magna Charta Universitatum featured Andrew McIntosh, member of the House of Lords in the United Kingdom and member of the Committee on Education of the Parliamentary Assembly of the Council of Europe, as a keynote speaker who addressed the topic of higher education in a time of economic and social change and what contributions both universities and public authorities need to make. The Secretary General of the Arab Association of Universities, Saleh Hashem, provided an overview of the developments in the Arab world and the rising importance in the region that is now attributed to higher education. Steve Fuller from the University of Warwick asked the question whether academic freedom is still affordable in times of crisis. For the first time, the participants of the conference debated in working groups intensively on a range of items. These discussions included how universities can help overcoming a crisis, the pressure on academic disciplines that are considered to be of less economic relevance, private and state influence on academic programmes and the threats associated with it, ethics in economic and business studies as well as whether changes are necessary in the governance of universities as a reaction to economic challenges. Dimitris Tsougarakis, Rector of the Ionian University, provided a historic analysis of the role of universities for regional development. 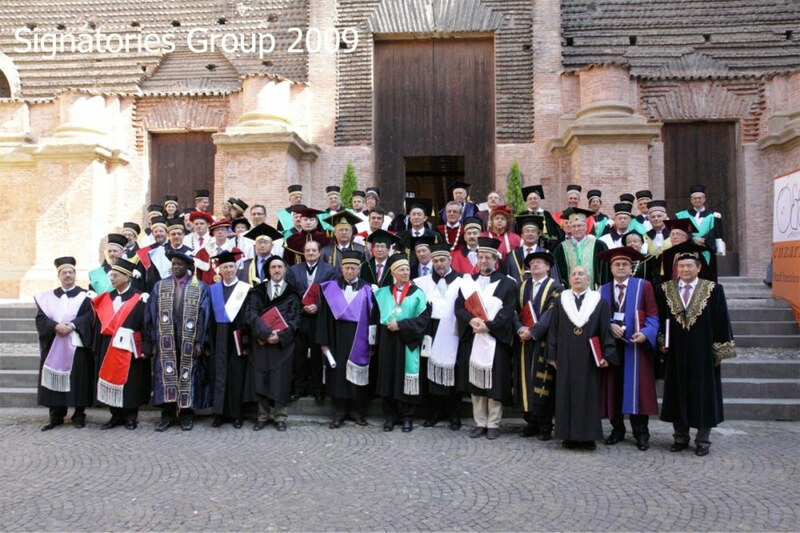 This was followed by the signing ceremony, in which 36 new universities signed the Magna Charta Universitatum and thereby declared their commitment to adhering to its principles and values.